We’ve just sent two representatives to Washington DC to meet with members of Congress and officials from the Obama Administration. They had a great time sharing how important Castner Range is to our community and how critical it is to make Castner Range a National Monument. Our goal is to get the greatest amount of support for this endeavor. We are also working on a video to help spread the word about a Castner Range National Monument (CRNM). All members of the fifteen-person CRNM Initiative—an outgrowth of the 4C’s (Castner Conservation Conveyance Committee) along with the UTEP Environmental Advocacy group and many friends throughout the community are working to collect letters of support. A dedicated group of volunteers is entering the letters we collect and is making presentations and attending events in support of efforts to make Castner Range a National Monument. To learn much more, go to: Castner Range website and the Facebook page. 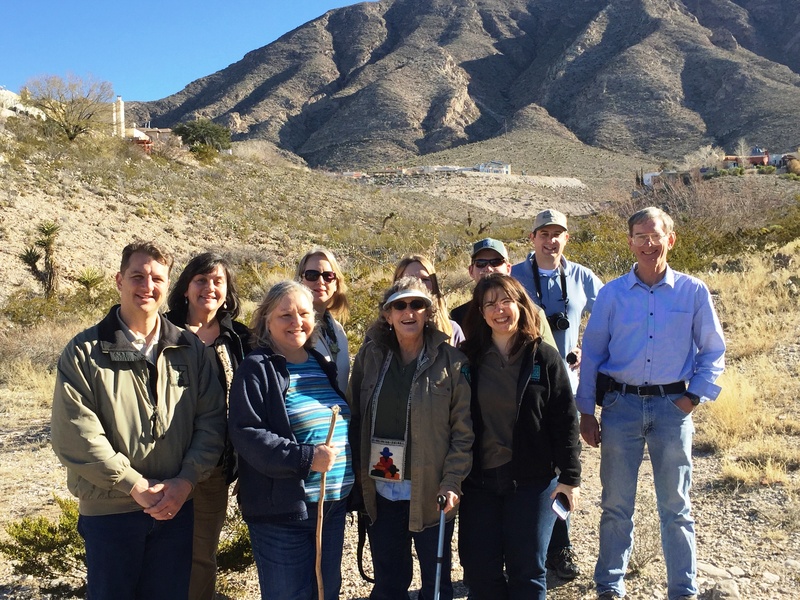 Lois Balin, TPWD Urban Biologist, hosted the State of Texas Urban Biologists in El Paso this year. Frontera President Scott Cutler led them on a tour of Resler Canyon and Thunder Canyon this past January 20. It was wonderful to show-case two of Frontera’s local conservation projects. 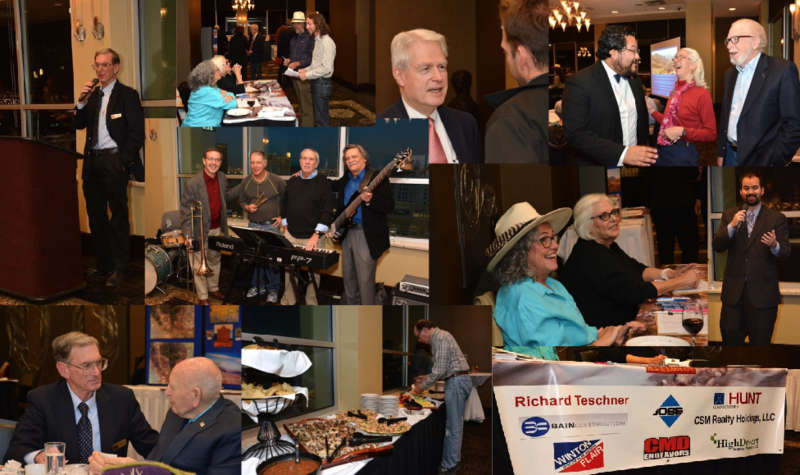 Guest speaker Representative Joe Moody (State District 78) spoke at Frontera’s Annual Dinner. He spoke of his background and his dedication to the conservation of water, wildlife, and land in El Paso. He was a key player in last year’s successful campaign to promote the State appropriation of $3.5 million for the Franklin Mountains State Park Visitor Center/new Headquarters. 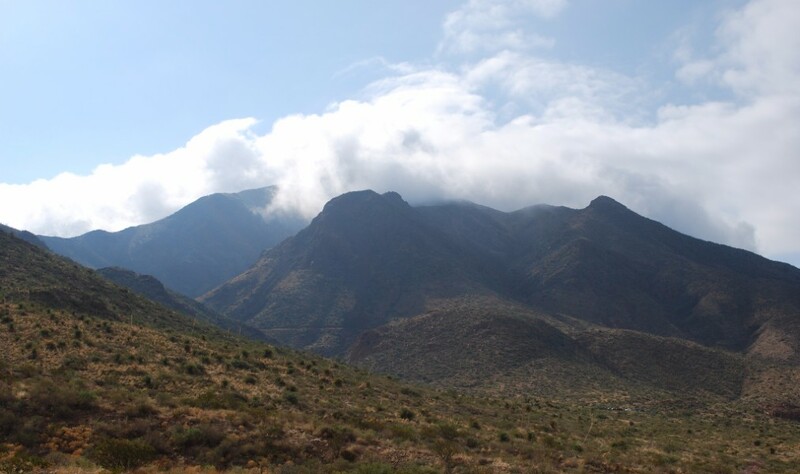 He and the rest of El Paso’s State delegation also signed a formal resolution this past December in support of creating a Castner Range National Monument. After Representative Moody’s remarks, Scott Cutler shared that Frontera is seeing dividends from the years we have spent informing people about what land trusts do and how Frontera in particular can improve our quality of life. This is seen through the expanding partnerships established and maintained, education/outreach, and presentations to numerous civic organizations. Wyler Tram: March 12 from noon to 4 p.m.